Red Bull and Renault will end their engine supply relationship at the end of this year. It's been close before - notably in 2016 - but just what triggered the ultimate ending of one of Formula 1's most successful partnerships? If you disregard works teams such as Ferrari and Mercedes, what are the most successful and iconic chassis-engine combinations in Formula 1 history? Lotus-Ford, McLaren-Honda and Williams-Renault might be among those that first spring to mind, and each of those combinations won four drivers' world championships. Somehow those names just seem to fit together. But what of the only other partnership that has earned four world titles? Despite sharing that impressive record, Red Bull-Renault probably doesn't register with many fans as a combination that will be fondly recalled in years to come. That standing reflects the disjointed and at times dysfunctional relationship the two parties have experienced over 12 seasons, which will come to an end in Abu Dhabi in November. But it was a hugely successful partnership, especially in the era where Renault's exhaust blowing technology gelled perfectly with Adrian Newey's aerodynamic trickery and Sebastian Vettel's driving style, and the German's run of four championships in 2010-13 was backed up by four constructors' titles for Red Bull. It's easy to forget that the first Red Bull of 2005 was, in essence, a Jaguar with a dark blue livery - a result of the takeover deal being done so late in the day. The team was committed to using the Cosworth V10 engine for that year, but for its second season in '06 - when the new V8 regulations came in - it switched to Ferrari. That was supposed to be a long-term arrangement, but after the deal was signed Christian Horner attracted Newey to the team. He quickly identified that a partnership with Maranello would have its limitations, especially in terms of support, and the feeling was that Renault was a better bet. After all, the works Enstone team had just won the last V10 title in 2005, and was heading towards another in '06. Horner was close to then Renault F1 boss Flavio Briatore, who had been something of a mentor to him, and a "complicated" deal was duly done for Red Bull to switch to Renault for 2007. The Ferrari contract was conveniently switched to sister team Toro Rosso. 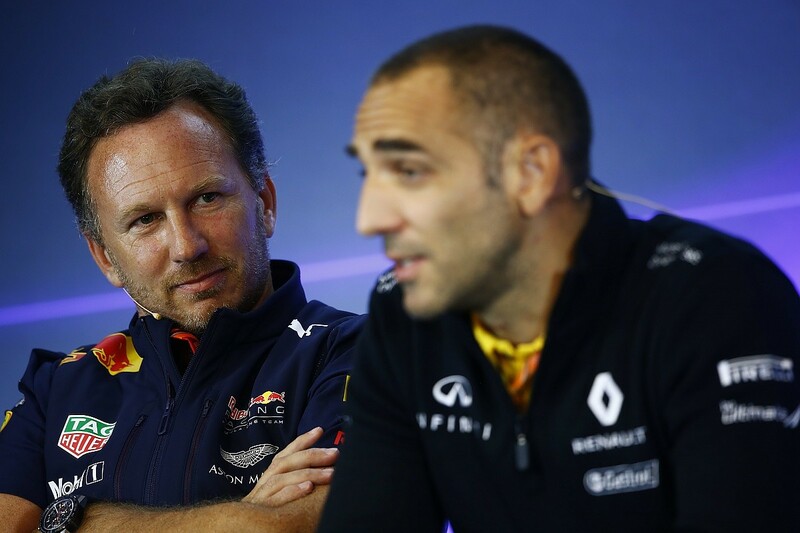 "We've gone through four different groups of management during our time with Renault," Horner recalls. "It started with the well-known Flavio Briatore, when we first took the engine. "We ended with, as part of the deal, having a box at Queens Park Rangers [which Briatore co-owned for a spell] and sponsoring [his] Billionaire Club for a season. So, it's been an unconventional route, but a successful one. Conflicts of interest didn't exist in those days..."
The presence of a works Enstone entity then wasn't seen as an issue by either party, but as Red Bull began to develop in 2008 and '09 - and its own team struggled - Renault might have had second thoughts. By '09 the pieces had come together at Milton Keynes, with the arrival of Vettel perhaps the most important element. Had Brawn GP and Jenson Button not stolen a march with the double diffuser that season, he might have become a world champion one year earlier. That had to wait until 2010, and he then followed up with three more titles. 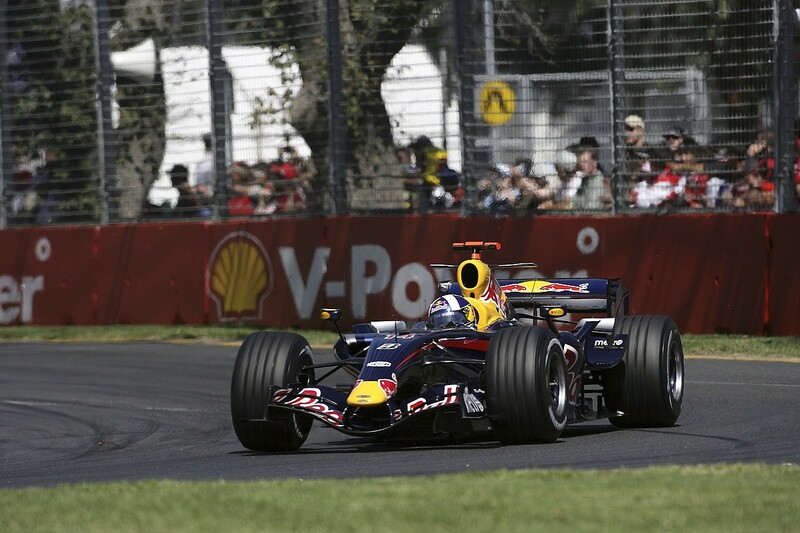 In two of those years ['11 and '13] Red Bull-Renault was utterly dominant, while the other contests went down to the wire. Yet despite the sustained success, and the fact that the end of works support at Enstone in 2011 allowed Renault to focus more on Red Bull, there was tension between the two camps. Horner regularly made it clear that some horsepower was lacking, noting that Newey had to make aero compromises to find straightline speed. Then, when Red Bull found its own version of the double diffuser by perfecting exhaust blowing, Renault's contribution to making it work appeared to be largely overlooked. But that was just a taste of the acrimony that what was to come. When the hybrid V6 era arrived in 2014, Renault dropped the ball with a disastrous combination of unreliability and lack of performance. Daniel Ricciardo still won some races that year, but it was made clear by Red Bull that it was despite, not because of, Renault's efforts. As a paying customer, Horner felt he had every right to voice criticisms in public, but it didn't sit well with Renault's top management. Vettel then left for Ferrari, and by the middle of 2015 the relationship between team and engine supplier had completely unravelled. At the same time, new Renault F1 boss Cyril Abiteboul had begun plotting a return to works status, ramping up frustration in the Red Bull camp. Red Bull looked for alternatives. A return to Ferrari was never going to happen, but there were some positive noises from Mercedes. In order to proceed, the team had to be contractually free of Renault for 2016, so the ties were cut in messy fashion - only for the Mercedes deal to prove to be elusive, amid much bitterness between the two parties. Suddenly Red Bull had no engine contract for 2016 and beyond, and the only chance was to go back to Renault, cap in hand. After some complicated discussions, and a little intervention from Bernie Ecclestone, there was re-marriage of convenience. Bizarrely it could only happen if Red Bull did not use Renault branding, and instead called its engine a TAG Heuer. That diluted the impact of any criticism, but the manufacturer would also receive no official credit if Red Bull did win races. "You need to remember the full story," says Abiteboul. "The full story is that Red Bull had already terminated its engine contract at the time, on the belief that they would be receiving a Mercedes engine. But they found themselves without an engine at all, and subsequently had to beg for an engine. And the only condition for us to continue to supply an engine was without a name, because the trust was gone. "When the trust was gone the first thing you do is try and protect your brand, even though there is obviously a limitation to the white label mechanism. For me that was a clear indication of the overall outcome of the relationship. The outcome of the relationship is happening now, but I guess the bullet and the message was already triggered a while back." The uneasy relationship continued through the last two seasons, with the return of Renault as a works entity for 2016 moving the goalposts once more. "We're like an old married couple in many respects," says Horner. "We know each other inside out. They've got a new girlfriend in their own team these days." 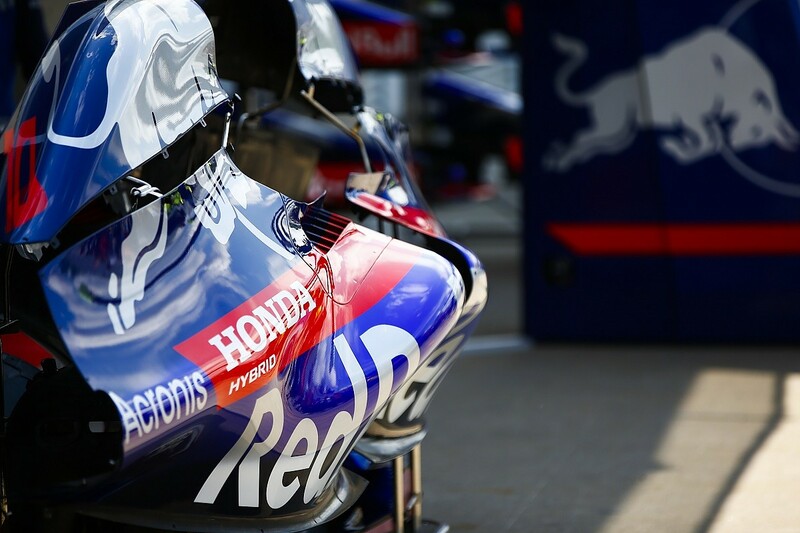 In the middle of last season, Honda unexpectedly became an option, and the possibility opened up for Toro Rosso to use the Japanese manufacturer's engines in 2018, with Red Bull potentially joining as well in '19. Some complicated negotiations followed. The outcome was that Red Bull had no Renault deal beyond 2018, but retained the possibility to sign a new one and extend with Renault if Honda didn't make enough progress. This year, more tension resulted from Red Bull's attempts to keep its options open for as long as possible, while Renault wanted a firm answer. Dropping from three to two teams for '19 had manufacturing implications that had to be addressed sooner rather than later. "If I try to look from Red Bull's perspective, and what they were looking for, and expecting from a manufacturer, for me it was very clear that the trend was going towards Honda," says Abiteboul. "I would say the only hesitation came from the fact that we have had a very good start of the season, we've shown the progress of our engine, we've shown that we have the capacity to win races, and to also start to be in very decent qualifying positions. We also see that maybe if we had less incidents on track we could be standing better in both championships. So, I guess this is where the hesitation came from." A new Renault contract for 2019 was on the table, if Red Bull wanted it. Abiteboul kept pushing for an answer, but the team resisted. It was eventually agreed that the arrival of upgraded engines from both manufacturers in Canada would be the team's final opportunity to make a call. "Even though it was pretty clear that there was a trend going [on], and seeing that Red Bull was moving towards Honda, that the plan had been agreed with Dr Marko just before the Singapore GP," says Abiteboul, "[the] hesitation in the earlier part of this season led to a situation which was I guess not clear for us. I don't know if it was clear for Red Bull and Honda. "We requested that be clarified for a number of reasons, and I give two in particular. One is supply chain, and the other is also intellectual property. 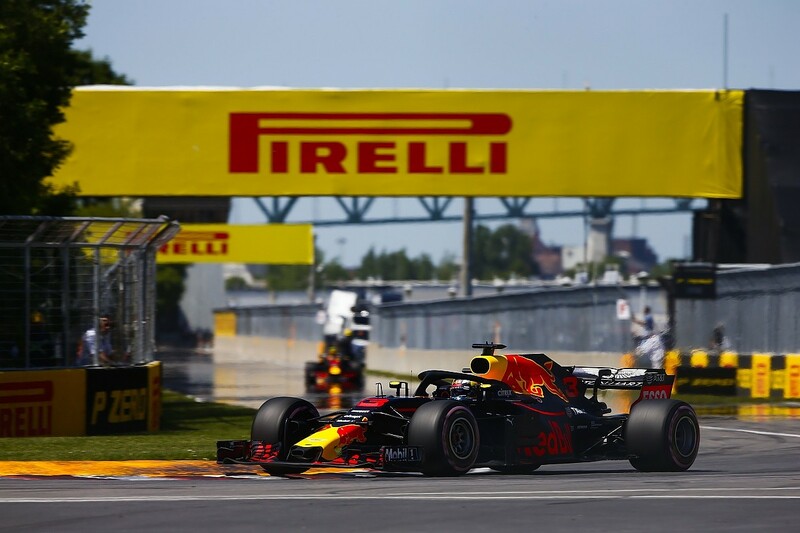 IP [is important] because the way that we are working with Red Bull is extremely integrated, and we did not at least want the start of the season to degrade and jeopardise our capacity to perform the best, because of a move that may or may not happen. "So for that reason we had requested Red Bull clarify this position for next year. After some discussion they requested, and we accepted, to wait until Canada. I think Canada was sort of a step for what was important for Honda, and I imagine an important milestone for Red Bull to confirm the progress of Honda. Therefore, for me, after Canada there was absolutely no point in waiting. Frankly it was very clear." 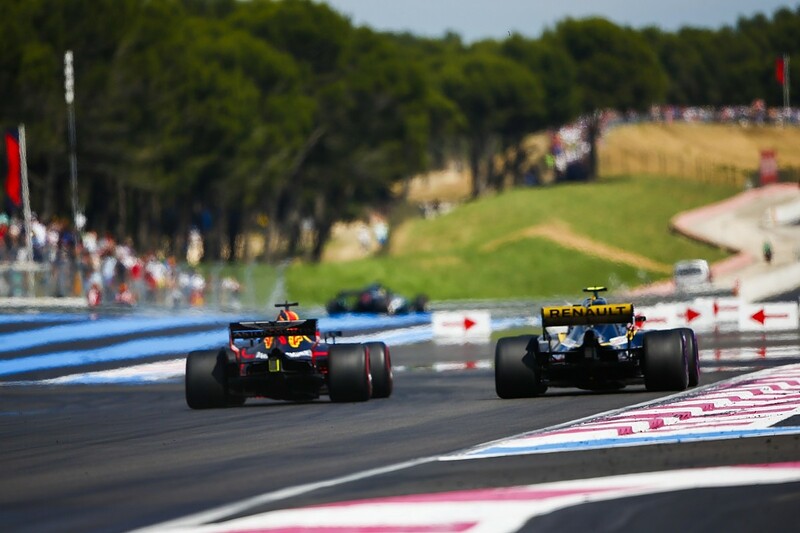 Despite that apparent agreement Red Bull kept claiming it would wait to see what happened in the second race with the upgraded engines in France. In turn, Abiteboul made it clear he wouldn't wait and would terminate the offer. In the end, Red Bull did bring its choice forward - it would go with Honda for 2019. "I just had to remind them of the fact that we had agreed to wait until Canada," says Abiteboul. "And that there would be nothing new after Canada, and indeed the offer that they requested, and that we had accepted to put forward, was only valid until last week. "You can stack up more races, more sessions, more data, but I think the picture was clear enough in Canada. In my opinion it was clear enough before Canada. "It was not a question of an ultimatum, it was simply a question of sticking to a deal which we had agreed between us, which was giving the opportunity to Red Bull to see the picture a bit better, so that they could confirm the plan that had been agreed last year. And that's exactly what happened. I'd like to thank Red Bull for sticking to that planning, and subsequently the announcement they made." Abiteboul understands why Honda was so attractive to Red Bull, not least because the team will now have the sort of works-backed status it has never previously enjoyed. "It's starting with the commercial angle, [and] I think there is a huge difference in terms of figures, but it's very clear," he says. "I can't imagine that any organisation would be insensitive to that aspect. "But also there are other aspects, the fact that the engine is developed for the Renault chassis, and the more we advance in the construction of our chassis and of our works team, the more it would require some concession on the side of Red Bull. 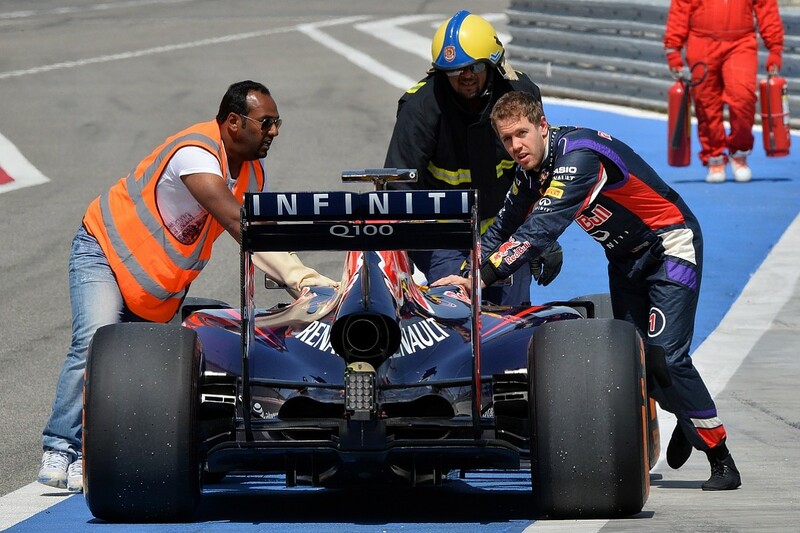 "I guess that was something that was not attractive for a technical group run by Adrian Newey. Plus, access to the dyno, gearbox development and this kind of thing, which again I'm pretty sure is part of what they've agreed with Honda. "I think the plan and the strategy for Red Bull - to have the capacity to access an exclusive manufacturer, a manufacturer which really focused on them and developed the engine for them, something that was completely out of question for us since we returned as a works team - that plan was very clear. [It is] something that we can all appreciate and understand." So, Red Bull and Renault will finally part company at the end of this season, leaving the manufacturer to support just its works team and McLaren. The unfortunate aspect for Renault is that not only did it not receive much credit from Red Bull for the Vettel-era titles, it also didn't do enough to exploit that success, and actively claim that credit. "The only thing I would say is that it takes two to tango," Abiteboul reflects. "If we [Renault] failed to make the most out of that relationship, it's a shared responsibility. "Maybe we should have been much more strict in what we were expecting out of the relationship, in particular from a marketing and communications standpoint, and the way that we made sure they respected the brand. "At times, there has been a very clear lack of respect of the brand, which is behind us now, so no point in commenting further. [But] if we came to that situation of lack of respect for the brand, it's also because we let that happen."